Luckily for owners of both devices, the company has released a public Ice Cream Sandwich (ICS) ROM that's available for download - something many who own phones from larger, more established companies can't say. While the MX and M9 both shipped with a custom UI, the ICS press release suggests this beta ROM is totally stock. Owners can hit up the official Meizu Community post for instructions and a download link to get firmware v1037. The upgrade is simple, though they recommend backing up everything to start. From there, it's as simple as dropping the update to the root of the SD card, turning off the phone, and then pressing the power and volume buttons. From there, it automatically updates and reboots. There are a few known issues - Meizu backup and recovery won't work - and likely a few other kinks to be worked out still (it is beta, after all). But all told, it seems like a pretty solid release. To give it a try (or just read some hilarious auto-translate fails, such as the second post), hit up the source link below. 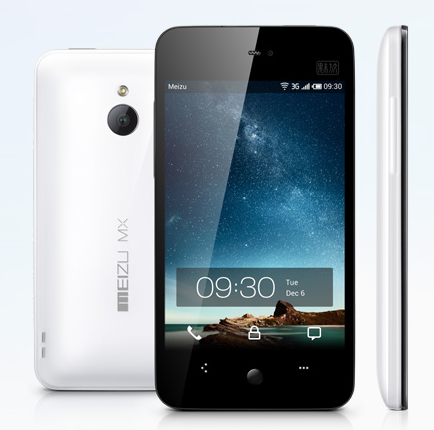 HONG KONG – March 30, 2012 – MEIZU has today released a public beta testing version of Android 4.0 Ice Cream Sandwich for the MEIZU MX and M9. The newly released firmware will be based on stock Android 4.0 without any customizations. The Ice Cream Sandwich upgrade brings an entirely new look and feel to Android on MEIZU MX and M9, with a redesigned user interface as well as new design and usage concepts. Prior to the public beta testing, MEIZU launched a private beta testing program for Android 4.0, which began mid-February for the MEIZU M9. During the private beta, users were amazed at the speed and responsiveness of the testing firmware. The newly released public beta firmware brings many bug fixes and also the support for MEIZU’s flagship device, the MX. With the release of the public beta testing stock Android firmware, the company continues supporting the MEIZU M9, a device that has been on the market for more than a year. By doing so, MEIZU once again displays its focused commitment to the user experience and satisfaction of its many customers and fans. The ICS beta firmware is available as of today for the MEIZU MX and M9.